He has asked for it to remain confidential. A proud man that he is, he accepts no aid. He can be seen at Tallital boat stand in Nainital. what a heartwarming tale amidst all the depressing stories i keep reading!! Thanks to kind man like Hanuman, hope floats! Pleasure is all mine, thanks for liking tales which oft lend on zilch ears. Oh, the memories! Last year, I had visited Nainital and like always, anywhere I go, I manage to befriend the dogs. Spent two lovely days making friends with the few strays there, feeding them biscuits and milk. But we part, as the heartbreaking custom. You’ve brought back the memories. What a lovely human, the man in your story. 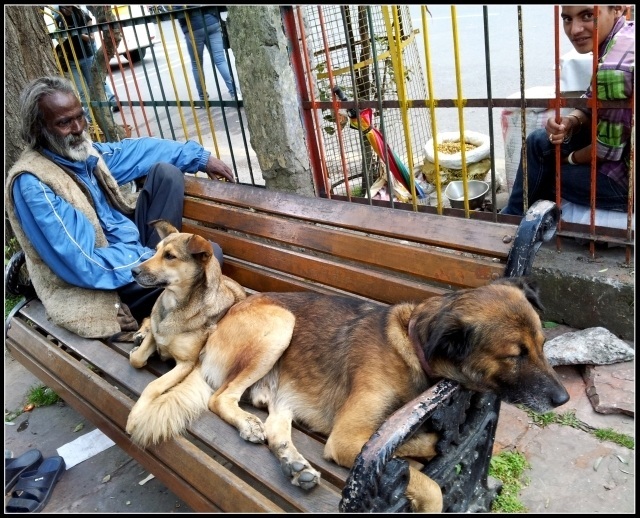 Pingback: Chandigarh chronicles ─ the man who has fed homeless dogs for over two decades | Dog with the blog! Pingback: Have You Heard of The World's Most Awesome Train? Pingback: Man Saves Money For 10 Years To Buy Ambulance For Stray Dogs!